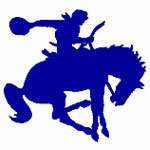 2008-09 – WBLSports.com | The Official Site of the Western Buckeye League for wbl news, wbl scores and wbl standings. Celina’s Kinzie Gardner has signed to play tennis at the University of St. Francis in Fort Wayne. 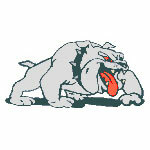 By admin|2011-01-30T21:37:27-04:00January 30th, 2010|2008-09, Celina Bulldogs, College Signings/Verbals, News, Tennis Girls, WBL|Comments Off on Celina’s Kinzie Gardner has signed to play tennis at the University of St. Francis in Fort Wayne. Wapakoneta’s Devon Golden signed to play basketball at Georgetown College. Wapakoneta’s Devon Golden signed a letter-of-intent to play basketball at NAIA Georgetown College in Georgetown, Kentucky. 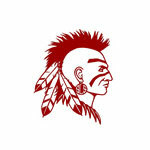 By admin|2011-02-06T13:13:14-04:00February 6th, 2009|2008-09, Basketball Girls, College Signings/Verbals, News, Wapakoneta Redskins, WBL|Comments Off on Wapakoneta’s Devon Golden signed to play basketball at Georgetown College. Shawnee’s Cody Koplichack signed to play baseball at Wright State University. Shawnee’s Cody Koplichack signed a letter-of-intent to play baseball at NCAA Division I Wright State University in Dayton, Ohio. By admin|2011-02-06T13:08:27-04:00February 6th, 2009|2008-09, Baseball, College Signings/Verbals, News, Shawnee Indians, WBL|Comments Off on Shawnee’s Cody Koplichack signed to play baseball at Wright State University. Shawnee’s Kate Hoops signed to play golf at the University of Toledo. Shawnee’s Kate Hoops signed a letter-of-intent to play golf at NCAA Division I University of Toledo in Toledo, Ohio. By admin|2011-02-06T13:07:02-04:00February 6th, 2009|2008-09, College Signings/Verbals, Golf Girls, News, Shawnee Indians, WBL|Comments Off on Shawnee’s Kate Hoops signed to play golf at the University of Toledo. Celina’s Audrey Harner signed to play softball at the University of Toledo. Celina’s Audrey Harner signed a letter-of-intent to play softball at NCAA Division I University of Toledo in Toledo, Ohio. By admin|2011-02-06T13:05:09-04:00February 6th, 2009|2008-09, Celina Bulldogs, College Signings/Verbals, News, Softball, WBL|Comments Off on Celina’s Audrey Harner signed to play softball at the University of Toledo. Bath’s Stefanie Mauk signed to play basketball at Central Michigan University. Bath’s Stefanie Mauk signed a letter-of-intent to play basketball at NCAA Division I Central Michigan University in Mount Pleasant, Michigan. 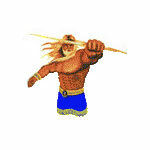 By admin|2011-02-06T13:03:28-04:00February 6th, 2009|2008-09, Basketball Girls, Bath Wildcats, College Signings/Verbals, News, WBL|Comments Off on Bath’s Stefanie Mauk signed to play basketball at Central Michigan University. Bath’s Rachel Mauk signed to play basketball at Central Michigan University. Bath’s Rachel Mauk signed a letter-of-intent to play basketball at NCAA Division I Central Michigan University in Mount Pleasant, Michigan. By admin|2011-02-06T13:01:54-04:00February 6th, 2009|2008-09, Basketball Girls, Bath Wildcats, College Signings/Verbals, News, WBL|Comments Off on Bath’s Rachel Mauk signed to play basketball at Central Michigan University. Bath’s Nicki Hopkins signed to play basketball at the University of Buffalo. Bath’s Nicki Hopkins signed a letter-of-intent to play basketball at NCAA Division I University of Buffalo in Buffalo, New York. 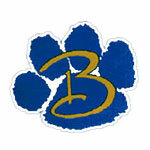 By admin|2011-02-06T12:56:26-04:00February 6th, 2009|2008-09, Basketball Girls, Bath Wildcats, College Signings/Verbals, News, WBL|Comments Off on Bath’s Nicki Hopkins signed to play basketball at the University of Buffalo. Kenton’s Garrick Sherman signed to play basketball at Michigan State University. Kenton’s Garrick Sherman signed a letter-of-intent to play basketball at NCAA Division I Michigan State University in East Lansing, Michigan. 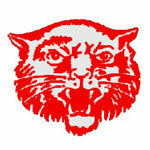 By admin|2011-02-06T12:53:13-04:00February 6th, 2009|2008-09, Basketball Boys, College Signings/Verbals, Kenton Wildcats, News, WBL|Comments Off on Kenton’s Garrick Sherman signed to play basketball at Michigan State University. Van Wert’s Ross Thatcher signed to participate in track at Huntington University. Van Wert’s Ross Thatcher signed a letter-of-intent to participate in track at NAIA Division II Huntington University in Huntington, Indiana. 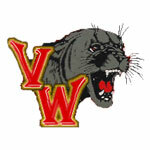 By admin|2011-02-06T12:49:59-04:00February 6th, 2009|2008-09, College Signings/Verbals, News, Track Boys, Van Wert Cougars, WBL|Comments Off on Van Wert’s Ross Thatcher signed to participate in track at Huntington University. Defiance’s Justin Hancock has signed to play baseball at Lincoln Trail College. Defiance’s Justin Hancock signed a letter-of-intent to play baseball at Division I Junior College Lincoln Trail College in Robinson, Illinois. By admin|2011-02-06T12:46:41-04:00February 6th, 2009|2008-09, Baseball, College Signings/Verbals, Defiance Bulldogs, News, WBL|Comments Off on Defiance’s Justin Hancock has signed to play baseball at Lincoln Trail College. Defiance’s Lindsey Tobias signed to play softball at the University of Toledo. Defiance’s Lindsey Tobias signed a letter-of-intent to play softball at NCAA Division I University of Toledo in Toledo, Ohio. 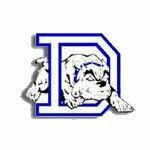 By admin|2011-02-06T12:24:40-04:00February 6th, 2009|2008-09, College Signings/Verbals, Defiance Bulldogs, News, Softball, WBL|Comments Off on Defiance’s Lindsey Tobias signed to play softball at the University of Toledo. St. Marys’ Marcus Neal signed to play football with the University of Saint Francis. St. Marys’ Marcus Neal signed a letter-of-intent to play football with NAIA University of Saint Francis in Fort Wayne, Indiana. By admin|2011-02-06T11:53:49-04:00February 6th, 2009|2008-09, College Signings/Verbals, Football, News, St. Marys Roughriders, WBL|Comments Off on St. Marys’ Marcus Neal signed to play football with the University of Saint Francis. St. Marys’ Michael Breland signed to play football with the University of Saint Francis. St. Marys’ Michael Breland signed a letter-of-intent to play football with the NAIA University of Saint Francis in Fort Wayne, Indiana. By admin|2011-02-06T11:51:11-04:00February 6th, 2009|2008-09, College Signings/Verbals, Football, News, St. Marys Roughriders, WBL|Comments Off on St. Marys’ Michael Breland signed to play football with the University of Saint Francis. Wapakoneta’s John Madigan committed to play football at Urbana University. Wapakoneta’s John Madigan committed to play football at NCAA Division II Urbana University. 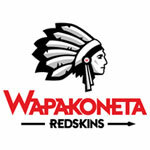 By admin|2011-02-06T11:46:06-04:00February 6th, 2009|2008-09, College Signings/Verbals, Football, News, Wapakoneta Redskins, WBL|Comments Off on Wapakoneta’s John Madigan committed to play football at Urbana University. Ottawa-Glandorf’s Taylor Kuhlman has decided to continue his education and basketball career at NCAA Division III Ohio Northern University. By admin|2011-01-30T21:49:26-04:00January 30th, 2009|2008-09, Basketball Boys, College Signings/Verbals, News, Ottawa-Glandorf Titans, WBL|Comments Off on Ottawa-Glandorf’s Taylor Kuhlman has decided to continue his education and basketball career at NCAA Division III Ohio Northern University. Van Wert’s Nick Kallas has verbally committed to run Cross Country and Track and Field at NCAA Division III Muskingum College. By admin|2011-01-30T21:47:55-04:00January 30th, 2009|2008-09, College Signings/Verbals, Cross Country Boys, News, Track Boys, Van Wert Cougars, WBL|Comments Off on Van Wert’s Nick Kallas has verbally committed to run Cross Country and Track and Field at NCAA Division III Muskingum College. Ottawa-Glandorf’s Alex Schomaeker has verbally committed to play baseball at NCAA Division III Defiance College. By admin|2011-01-30T21:42:56-04:00January 30th, 2009|2008-09, Baseball, College Signings/Verbals, News, Ottawa-Glandorf Titans, WBL|Comments Off on Ottawa-Glandorf’s Alex Schomaeker has verbally committed to play baseball at NCAA Division III Defiance College. Elida’s Cody Wittkamp signed a letter-of-intent to wrestle at NCAA Division II University of Indianapolis. 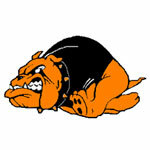 By admin|2011-01-30T22:10:18-04:00January 30th, 2009|2008-09, College Signings/Verbals, Elida Bulldogs, News, WBL, Wrestling|Comments Off on Elida’s Cody Wittkamp signed a letter-of-intent to wrestle at NCAA Division II University of Indianapolis. Shawnee’s Tyler Gallant has decided to continue his education and baseball career at NCAA Division III Defiance College. By admin|2011-01-30T22:02:38-04:00January 30th, 2009|2008-09, Baseball, College Signings/Verbals, News, Shawnee Indians, WBL|Comments Off on Shawnee’s Tyler Gallant has decided to continue his education and baseball career at NCAA Division III Defiance College.